Let me start by saying this: I believe Pat Robertson is wrong. I think his advice this week to a man whose wife is suffering from Alzheimer’s Disease is totally out of sync with the spirit of our wedding vows and the sacrificial love to which we are called as Christians. Should my wife ever contract this dreaded disease, it is not Mr. Robertson’s advice I will be following. What I find interesting, however, is the marketing blitz the rest of Christendom has initiated in the few days since Pat’s remarks. I’ve seen op-ed’s, blogs, commentaries, television appearances and more designed to show the world that the rest of we Christians are “not like Pat.” We have criticized, excoriated, condemned and otherwise separated ourselves from Pat Robertson. We have done everything we can to make it clear that Pat does not speak for the rest of the Christian community. But Pat Robertson is not the problem. You see, I don’t think his comments this week made the world think any more badly of Christians than they already do. Pat’s comments didn’t ruin the image of Christianity in the eyes of the world. They just confirmed it. I think the vast majority of the non-Christian community already thinks we are cold, uncaring, unloving, judgmental, and self-serving. They have seen us picketing and protesting, judging and condemning. They hear us tell homeless people to “get a job.” They notice when we build expensive buildings for our own comfort when we are surrounded by poverty and need. They hear us claim to be “pro-family”, and then have the same divorce rate as the general population. They hear us condemn the “God Hates Fags” mentality of Westboro Baptist Church, but have seen by our actions how we quietly agree with them. We are quick to criticize and moralize, but slow to offer solutions, and the world knows it. In short, the world has already observed that we often do not follow the simplest commands of the Jesus we claim to serve. He called us to serve the poor, we have ignored them. He called us to love unconditionally, we have protested. He called us to be the light of the world, instead we have become just like them. Like the Pharisees of Jesus’ day, we are more concerned with rules and law than we are about people who suffer. Pat Robertson’s words this week didn’t cause that image, they just drove the nail deeper. Yes, there are pockets of Christians following the commands of Christ. There are the stirrings of those who want to awaken from our slumber and get it right. But the church has an image problem. And Pat Robertson didn’t cause it, we did. I have caused it and you have caused it. By our actions or lack thereof, by the things we have done and left undone, we have brought reproach on the name of Christ. 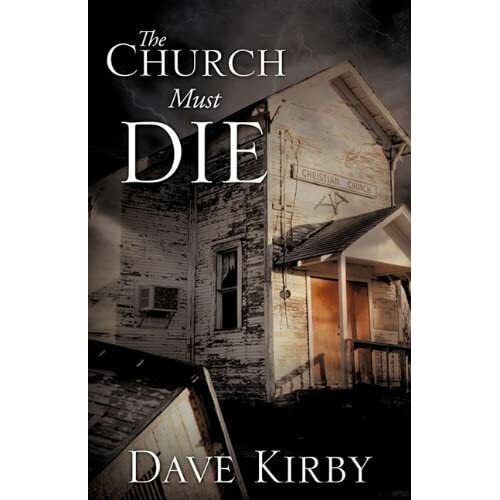 And until we all decide to die to self, follow Christ, and do His works, that image problem will continue. The answer is to stop criticizing Pat and instead go love someone. Let’s stop politicizing and polarizing and go humbly serve the poor. Let’s stop trying to shape society and instead just follow Jesus. When Christians decide to simply live like Christ, society can’t help but be changed. If we had done this, then Pat’s comments would be nothing more than a blip on the radar. 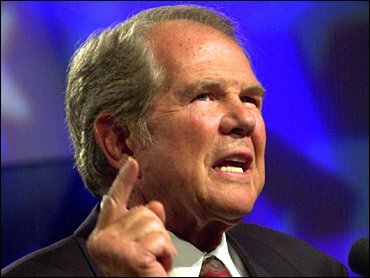 If the world saw more of Jesus, they would hear less of Pat Robertson. Until we get to the root of the disease, no amount of criticizing the symptoms will make it better. This entry was posted on September 17, 2011, 1:02 PM and is filed under Challenge, Commentary. You can follow any responses to this entry through RSS 2.0. You can leave a response, or trackback from your own site. Dave, Let me start by saying, I don’t agree with Pat’s advice either…I do not believe in Divorce, especially divorce and remarriage….Can’t reconcile that with my understanding of scripture…Be glad for someone to enlighten me otherwise. But that being said I think Pat has gotten a bum rap on the topic…I watched the episode and while I would have answered differently to the question, because of my seeing most things in black and white, right or wrong…I have to defend Pat. It is obvious he was really uncomfortable with the question and his answer to it…at least to me. He did not as the media portrays, “Justify Divorce of a spouse with Alzheimer’s”….I believe he was justifying the comment and attitude of the man whose wife had Alzheimer’s…The man stated his wife was gone, gone…Pat said Alzheimer’s was a kind of death…and if the man was going to have a relationship with another woman for companionship he should at least divorce her and be sure she was taken care of. I don’t really understand why so many “Christians” are up in arms when half of Christendom has been divorced and remarried for much less acceptable reason to me…Not happy, just get another one, grow apart, just get another one, not compatible, just get another one…the list is endless. As you already know by our previous conversations, I have reached a place where I have, and or, are becoming, less judgmental, good or bad, this is where I am. And while I don’t agree with divorce of a sick spouse, abandoning one’s vows and moral obligations to take care of an ill spouse, I can to a degree understand one wanting to go on with their life if a spouse becomes the victim of that dread disease and they reach the place where they no longer recognize or know anyone….that must be awful…especially for someone who is still young and has many years left to share with someone. The “Notebook” is such a great story of the kind of love we wish we all were capable of, but in reality, not many are nearly are so self-sacrificing. In my opinion, it is obvious by the multitudes of mothers who chose career over being stay at home Moms. Fathers who work two jobs to have boats and bikes and hobbies while the children suffer from lack of attention and love….and that is just the tip of the iceberg as proof that we don’t live lives of self-sacrifice for the good of others, but we like to think we do. Someone on another blog mentioned that older Christians get soft on sin…I had heard the same thing of Billy Graham, my question is, could it be that older Christians who have been so hard and condemning of others in younger years, have learned to be more compassionate, more caring, less judgmental, more Christlike? I agree that not all choices are easy ones, not all situations are black and white. Grace and mercy should trump judgment and condemnation. That’s the example Jesus left for us. I also like your take on older Christians who seem to get softer on sin, but in reality have just learned to be more compassionate. I really didn’t mean to come down on Pat in this post, rather to point out that he didn’t cause the image problem the church has, we did. Well said Dave – so true! Thanks Cathy. How is your ministry going?